The Notre Dame Hounds were a dynasty in the early days of the National Midget Championship, making four consecutive trips between 1979 and 1982, the middle two of which included Gary Leeman on the blue-line. The 1980 Hounds were a juggernaut, averaging six goals a game en route to their first-ever national championship, but Notre Dame came up a few wins short of back-to-back gold medals, falling in the quarter-finals to Kitchener in 1981. 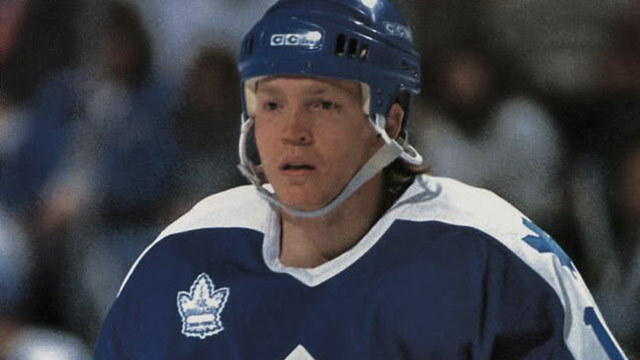 Drafted as a defenceman by Toronto in the second round of the 1982 NHL Entry Draft, Leeman converted to a winger early in his pro career and became just the second Maple Leaf to ever score 50 goals in a season when he recorded 51 in 1989-90. Early in 1992, after nine seasons in Toronto, Leeman was dealt to Calgary in the largest trade in NHL history, involving 10 players. He played just 59 games with the Flames before a trade to Montreal, where he helped the Canadiens to their 24th Stanley Cup in 1993, the only time in Leeman’s career he would hoist hockey’s Holy Grail. He finished his NHL career with quick stops in Vancouver and St. Louis, and retired in 1999 after playing two seasons in Germany and Switzerland. The final standings say the Ottawa West Golden Knights, and defenceman Claude Julien, finished the 1977 Wrigley Cup in seventh place, but a closer look reveals a team that was a goal or two away from playing for a medal. The Golden Knights finished 2-2-2 in round-robin play, but lost a pair of one-goal games, including to the eventual silver medallists from Lac St-Louis. After spending parts of four seasons in the OHL, Julien started what would be a 13-year pro career in 1980-81, although he would play only 14 NHL games, all with the Quebec Nordiques. Four years after his retirement in 1992, he stepped behind the bench, winning a Memorial Cup with the Hull Olympiques in 1996-97, his first season as head coach. 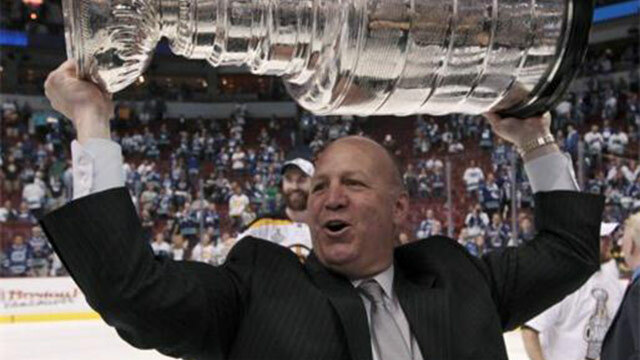 Four years in the QMJHL and three in the AHL led Julien to his first NHL head coaching job in Montreal. He spent three seasons with the Canadiens and one in New Jersey before taking over as bench boss in Boston, where he has had the most success. Julien received the Jack Adams Award as coach of the year in 2008-09, and led the Bruins to their first Stanley Cup in 39 years in 2011. The first team to represent the Central Region in the six-team field, the Ottawa West Golden Knights, who included Luke Richardson on their blue-line, made history by playing in the first game under the new format, losing 5-3 to host North Bay Pinehill. But that would be the lone highlight for the Golden Knights, who finished without a win and missed out on the semifinals. After spending another season with Ottawa West, Richardson joined the OHL’s Peterborough Petes for two seasons before Toronto took him with the seventh pick in the 1987 NHL Entry Draft. Making the jump right to the NHL, Richardson played his first 10 seasons in Canada – four with the Maple Leafs, six with Edmonton – and along the way helped the country to its first IIHF World Championship gold medal in 33 years in 1994. 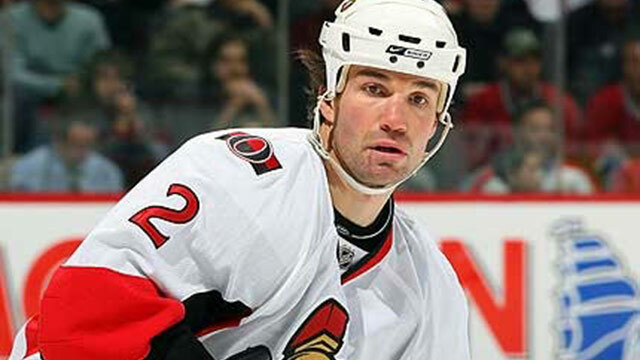 After stops in Philadelphia, Columbus, Toronto and Tampa Bay, Richardson returned home for his final NHL season, spending the 2007-08 campaign with his hometown Senators before retiring in November 2008. When Brad Stuart and the Red Deer Chiefs arrived in Kamloops, B.C., for the 1996 Air Canada Cup, it marked back-to-back-to-back appearances at the National Midget Championship for the team. And while the previous two had suffered one-goal losses in the gold medal game the 1996 version of the Chiefs wouldn’t get that far, falling in the semifinals to Thunder Bay before a bronze medal game loss to host North Kamloops. Selected third overall by San Jose in the 1998 NHL Entry Draft, Stuart played three seasons in the WHL with Regina and Calgary, capped off by a Memorial Cup appearance with the Hitmen in 1999. 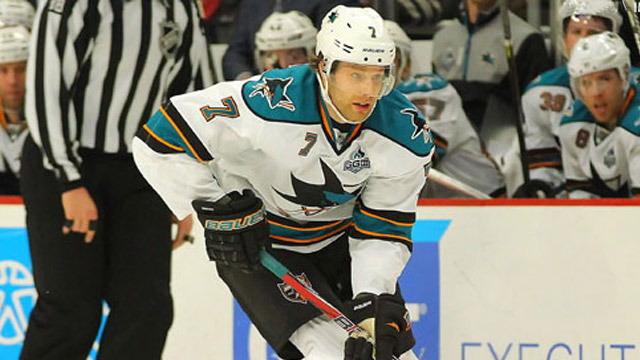 He joined the Sharks full time in 1999-2000 and after parts of six seasons in San Jose, was dealt to Boston as part of the Joe Thornton trade in November 2005, spending 14 months with the Bruins before another trade, this time to Calgary. After 27 games with the Flames and 63 with Los Angeles, Stuart found his greatest success in Detroit, winning the Stanley Cup with the Red Wings in 2008 and reaching the final again the following season before returning to San Jose as a free agent last summer. One year after losing a heartbreaking double-overtime gold medal game the Red Deer Chiefs, with Derek Morris on the blue-line, returned to the National Midget Championship in 1995. Unfortunately for the Albertans, they met the same fate – a one-goal gold medal game loss, this time at the hands of the Thunder Bay Kings. Morris took home a little extra hardware; the 16-year-old was named the tournament’s Top Defenceman. The 13th pick of the 1996 NHL Entry Draft by Calgary, Morris turned pro after two WHL seasons with Regina, playing his first full NHL season with the Flames in 1997-98, after which he was named to the NHL All-Rookie Team. After five years in Calgary, Morris was traded to Colorado prior to the 2001-02 campaign before a trade deadline deal to Phoenix two years later. 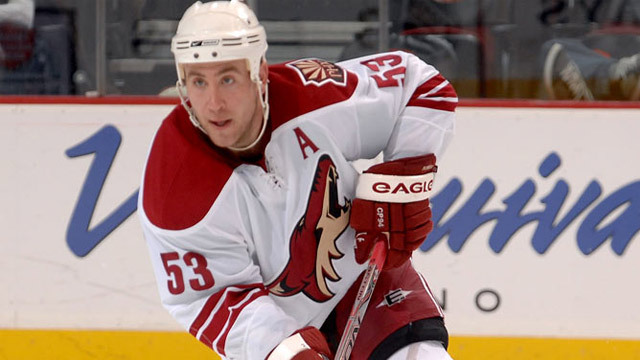 After quick stops with the New York Rangers and Boston, Morris returned to the Coyotes at the deadline in 2010; only Teppo Numminen has played for games on the Phoenix blue-line, and Morris ranks as the fifth-highest scoring defenceman in team history.